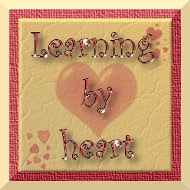 Learning by Heart, Christmas Style (week 10) | Tired, Need Sleep. Again this week we are taking it easy peasy, focusing on simple fun while preparing our hearts and home for Christmas. I’m combining activities from last week with what I’m setting out for this week. Do not feel overwhelmed by the number of activities – they are not all from one week! I picked up a lot of easy, pre-packaged crafts from Target and Michael’s. These are just for fun. I haven’t done this before because I’m not a big fan of pre-packaged crafts; if I weren’t sure that M has a ton of opportunities to create open-ended art (and if you know us, you know he does! ), I probably would’ve passed these up. However, they have come in soooo handy when I need a little time to finish up my own projects. are simple to make on your own too! Christmas rubbing plates – I had these from last year and M loves them so I brought them out again. I simply used templates to draw shapes onto cardboard, then traced them with hot glue to give them raised lines. Place paper over the top and rub with a crayon to see the shape appear. Christmas patterning – these are also from last year. I made my own, and then Kylie came out with some of her own and shared them with everyone. You can find her lovely printable here. Jingle bell wreath activity – I set out some pretty gold jingle bells and a red pipecleaner so M could make a little jingle bell wreath for his room (or wherever in the house it ends up as the case may be, and is): Isn’t it pretty set out in this glass dish? It was very appealing and the first thing M went for that morning. Finished jingle bell wreath: It sounds so pretty too! “Ice skating” on wax paper – this is so much fun, sometimes the entire family does it, hee hee. Try it out if you are looking for a high-energy activity on days too cold to go outside! Art – I’m no longer posting about M’s weekly art box and his creations, but I think I’ll post my favorite artwork each week as part of our school posts. This was my favorite from this week… It’s M on a pogo stick, and was drawn with glow in the dark paint. :) Honestly, I think he wants a pogo stick for Christmas, but since the kid can already out-bounce Tigger, I’m pretty sure I’m not ready for him to have one! We used big and small marshmallows and toothpicks to create a few things. This was supposed to be a science activity of sorts… how can we create a bridge that will stay up, or one that can bear weight, and that kind of thing. It turned into more of an art project than anything. :) I thought M would enjoy the engineering aspect of this, but perhaps we’ll have to try it again at a later date. For now we are a bit sick of marshmallows (they are hard to resist, you know!). I’ve been in high gear cleaning and organizing mode lately. We’ve been going around the house, stripping it bare of anything unessential. :) I get like this sometimes and can’t stop myself. M has been a huge help with sorting things into small containers and baggies, and being my “take this somewhere” and “go find me this” guy. :) So, a lot of life school has been going on, and I am grateful to have a helper. :) It feels good to purge before the influx of stuff! This is the last of school for the year. I’m hoping to post some fun Christmas arts and crafts projects, but no more school posts until some time in January! Wow! What A LOT of GREAT, FUN activities for the kids! Thanks for a bunch of wonderful ideas! That's a lot! We made our first gingerbread house this year,too! Busy times! Your gingerbread house looks great, and I really liked marshmallow activity. We will try it out eventually too. I'm bookmarking this post! So many great ideas and links. Thanks! Looks yall are just having a crafty Ole' time! i love when they are little.. sigh! btw. I love your blog! thanks for sharing so many printables and ideas.